Did you know you can steam can your fruits, jams, jellies and pickles in your Instant Pot? Steam canning in your Instant Pot is a great way to preserve smaller batches of food as it takes less water, less overall time to process, and doesn't heat up your entire kitchen! 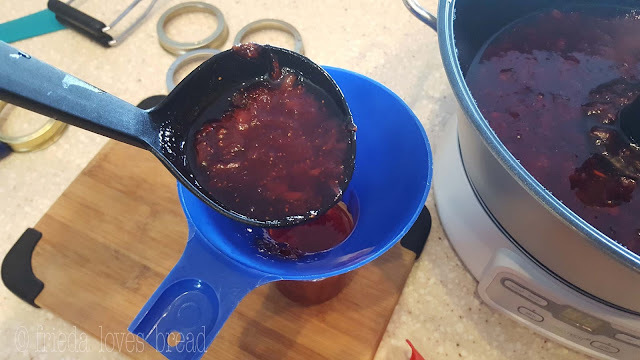 Making smaller batches is actually preferred when making jams and jellies, as you will get a consistent batch each and every time. Before starting, you will want to become familiar with the rules of Steam Canning and test your Instant Pot using water and a thermometer. I have tested my 6 quart Duo at 4,500 feet altitude and there can be some variance due to size and altitude, so do a WATER STEAM CANNING TEST first. You can view a step by step video instruction, here, and watch me process some delicious Apple Butter, here. 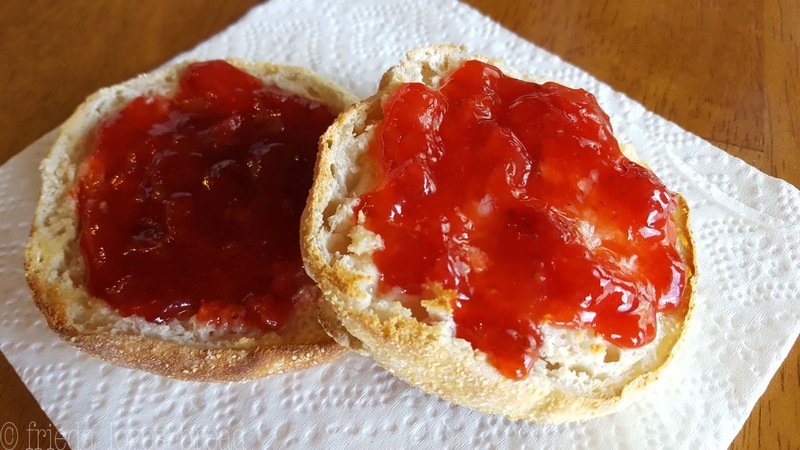 I made some Strawberry Jam in my Ball FreshTec Automatic Jam/Jelly maker and was thrilled with the results of how easy and simple it was to make. 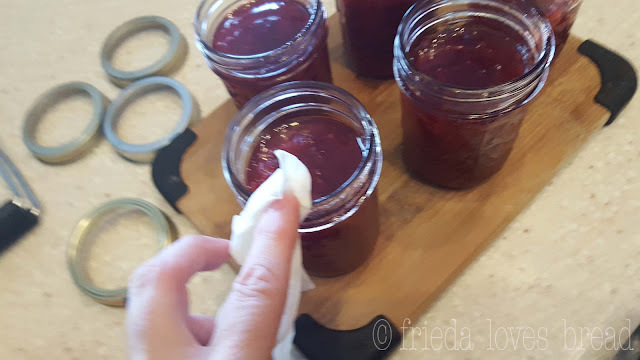 The Automatic Jam/Jelly Maker does all the cooking and stirring, which left my hands free to get my jars, lids and rings ready to process the jam. You can find this recipe in the Ball Blue Book for Canning & Preserving. 1. Wash & Inspect your jars with hot soapy water and rinse them well. Using your dishwasher is fine. Inspect your jars for any chips or cracks. Run your finger along the top of the rim - it should be smooth and free of any chips that may prevent your jar from sealing. It is important to keep your clean jars HOT. You can keep them hot in your dishwasher, or pour boiling water over your clean jars in the sink. OPTIONAL: Use your IP to sanitize your jars. 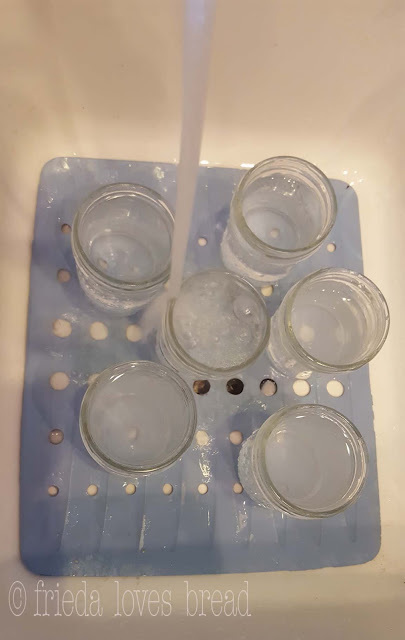 Trivet, 1 cup of water, put clean jars in IP, close, lock, set valve to Sealing, set time for 1 minute. Keep jars in IP till ready to use. You can find the recipe here or in the Ball Blue Book of Canning. This takes about 25 -30 minutes to make, which is about the same time as it takes to prepare and fill the jars for canning. I was able to make jam while a batch was processing and do 3 kinds of strawberry jam, back to back, taking 1.5 hours total to steam can 15-16 eight ounce jars of jam! 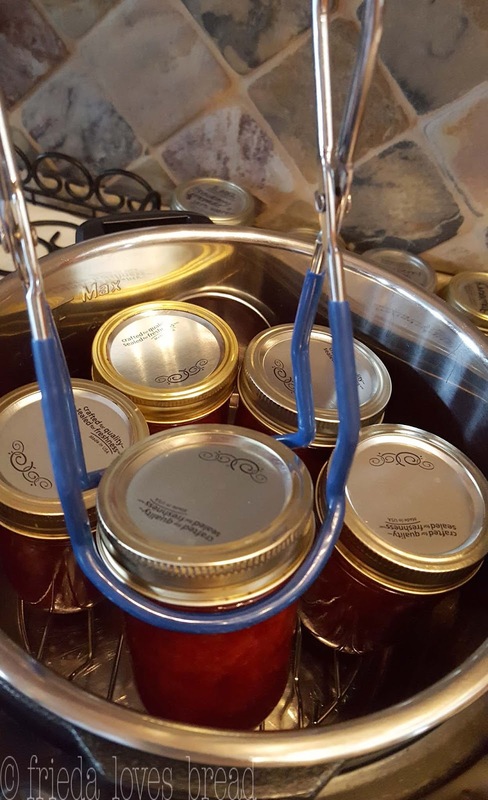 When your jam is ready, empty out a HOT jar and set a canning funnel inside the jar. Fill it with your HOT jam, up to 1/4" from the top of the jar. This is called the "head space," which will allow your jars to seal properly. If you have any jam left over that will not fill a jar up to the 1/4" head space, put it in the fridge to enjoy. Remove the canning funnel. Wipe the rim of the filled jar with a clean, damp paper towel. 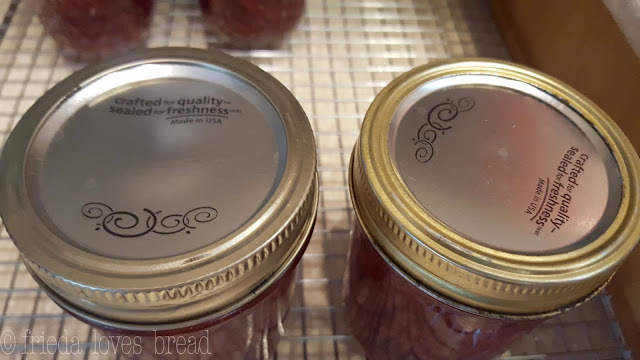 If there is any food on the rim, it will keep your jar from sealing properly. 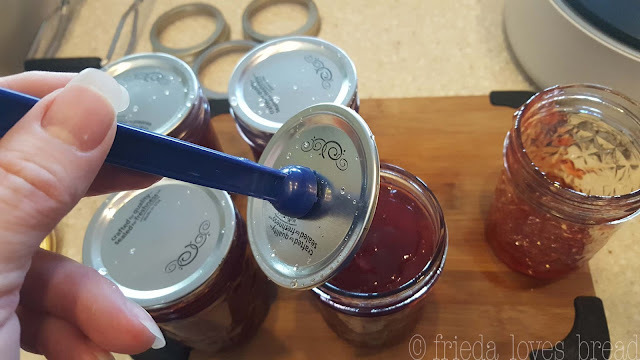 Put a NEW** canning lid on top of the jar of jam, and screw on the canning ring. Do not turn it super tight - as it will prevent a proper seal. Finger - tip tight is what you want. This means to screw on the lids and STOP when you start to feel resistance. I still like to use the magnetic lid wand - I want to make sure everything is clean and sterile! 6. Put Jars in the Instant Pot. Place the metal trivet (steam rack) inside the pot. Put 3 1/2 cups* of water into your Instant Pot liner. Water should be at the height of the trivet. Place your hot jars on the trivet. 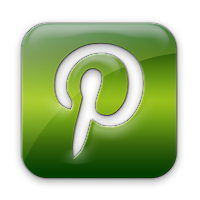 If you are processing more than 7 half pint jars, you will want to make a foil sling for the center jar. (*If you are using the 8 qt IP, pour water up to the trivet line). 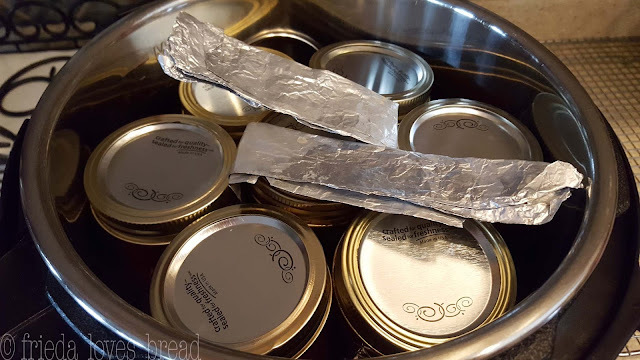 Fold the aluminum sling down and over the top of the jars. The foil sling will help you remove the center jar and allow you to use a canning jar lifter or hot pads to grab the rest of the jars. 7. Check Seal, Close/Lock Lid. Check your seal - make sure it is seated correctly, all the way around the underside of the lid. 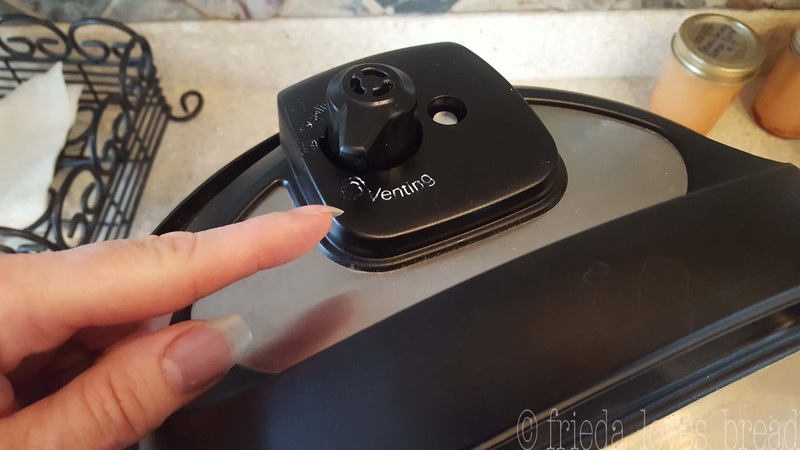 Put the Instant Pot lid on the pressure cooker and turn it completely to lock it. Make sure the pressure valve is set to VENTING. Push the STEAM button. Watch your pressure cooker. When the float valve comes up AND you see a full stream of steam coming from the pressure valve, start the processing time according to your altitude. Processing Time for Strawberry Jam is 10 minutes at sea level - no adjustment necessary. Add time for altitudes higher than 1,000 feet. I am at 4,500 feet, so I need to add 10 minutes to my processing time, for a total of 20 minutes. 9. Turn off the IP. 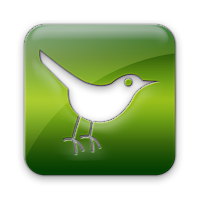 At the end of processing time, Press Cancel/Keep Warm to turn the IP OFF and wait for the float valve to drop. When the float valve drops, you can open up your pressure cooker. Carefully remove the jars, using a jar lifter or hot pads, and set each jar on a wire cooling rack. Do not disturb the jars for at least 12-24 hours. As the jars cool, you will hear the JOYFUL pings of jars being sealed. The new canning lid design will let you know how to see if the jar has sealed - the jar on the right has sealed. The jar on the left still has the 'bubble,' and will seal in a minute or two. Resist the urge to touch the tops of the jars until 12 hours have passed. After 12 hours, if you have any jars that have NOT sealed, you have 2 options. 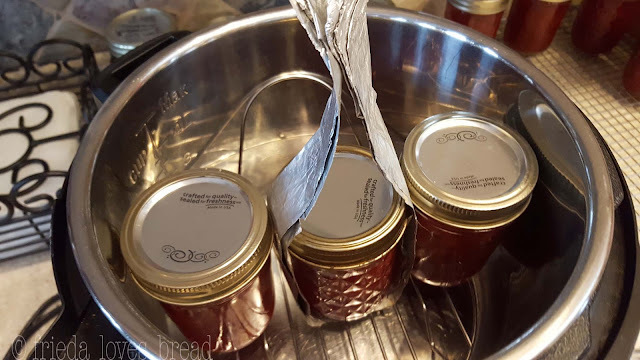 When proper canning procedures have been followed, it is rare for a jar not to seal. Jar was not filled properly with required amount of "head space." If you do not have enough food to fill the jar, put it in the fridge to enjoy. The top of the jar was not clean. Any food or reside can prevent a proper seal. The top of the jar has a nick or a crack on the rim. The lid was not centered. The ring was screwed on too tight. Air needs to escape to create a vacuum and seal. 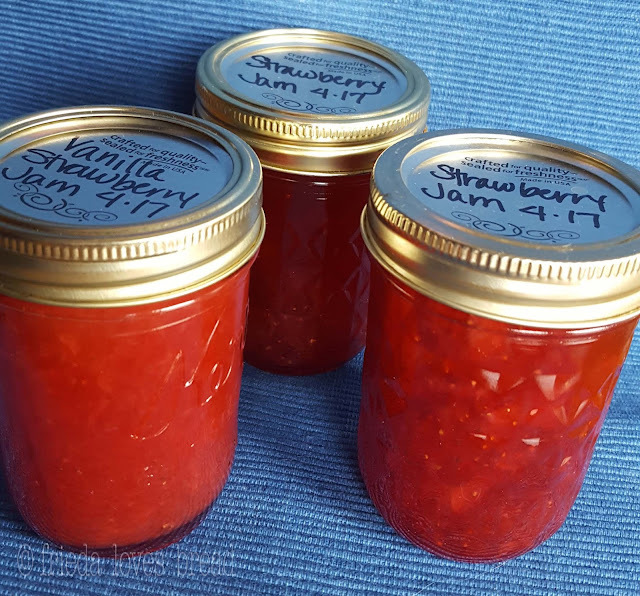 When canned and stored properly, your Strawberry Jam will keep for 18-24 months. 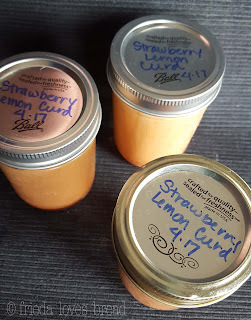 I have successfully Steam Canned Applesauce, Strawberry Jam (several varieties, including Strawberry Kiwi and Strawberry Vanilla), Strawberry Lemonade Concentrate, and Strawberry Lemon Curd. Excellent information, I used this process tonight with your Apple Butter recipe. Am sure they will ping shortly....Thank you so much....Do you have a recipe for Orange Marmalade? You are most welcome! You can find a recipe for Orange Marmalade on the Ball Canning site, here. Enjoy! This was so awesome, Was able to jar up 16 1/2 pints tonight for m group home, both apple jelly and grape jelly....this was so quick and so wonderful, will do more tomorrow...thank you so much for posting this, used my ip to to the canning part.....thank you so much!